I read this article and found it very interesting, thought it might be something for you. The article is called How India Can Meet Its Sustainable Development Goals On Poverty & Hunger Despite Economic Slowdown and is located at https://archive.indiaspend.com/cover-story/how-india-can-meet-its-sustainable-development-goals-on-poverty-hunger-despite-economic-slowdown-68959. Dashrath Majhi (second from right) with his family. A job at a local alumina refinery has helped him pull his family out of poverty and hunger and into moderate prosperity. 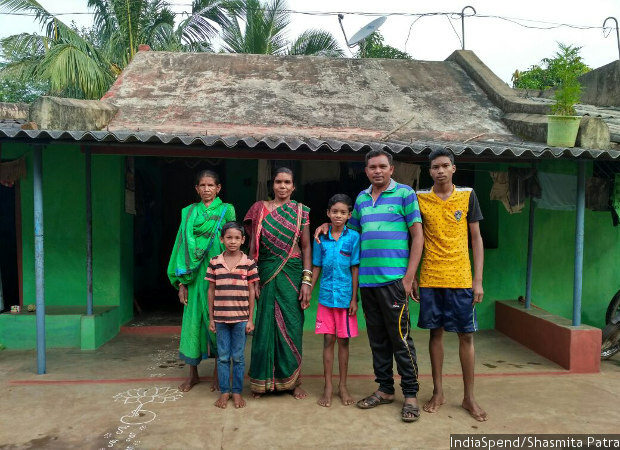 A quarter of Indians remain as deprived as Majhi’s family were three decades ago, and the most glaring evidence of their poverty is their undernutrition. Niyamgiri (Kalahandi district), Odisha: Growing up in the late 1980s at the base of the Niyamgiri hill range, home to the animist, scheduled Dongria Kondh tribe, Dashrath Majhi was familiar with hunger.